« You may ask why? Hello everybody, well I had been at a stand still for a bit but I am back on the project. I have ordered all the remaining pieces and have completed the top and middle parts of the costume as seen in the photo provided. I am now working on the leg pieces and for some reason I am struggling with this. I just can’t seem to wrap my head around a starting point. but I will push on and try and get it done before the weekend is gone. My hope is to get the Armor completed and Accepted before the next Art Walk in Jacksonville, Fl but we shall see. The photo is kind of grainy because it was taken in low light on my Iphone 3GS. 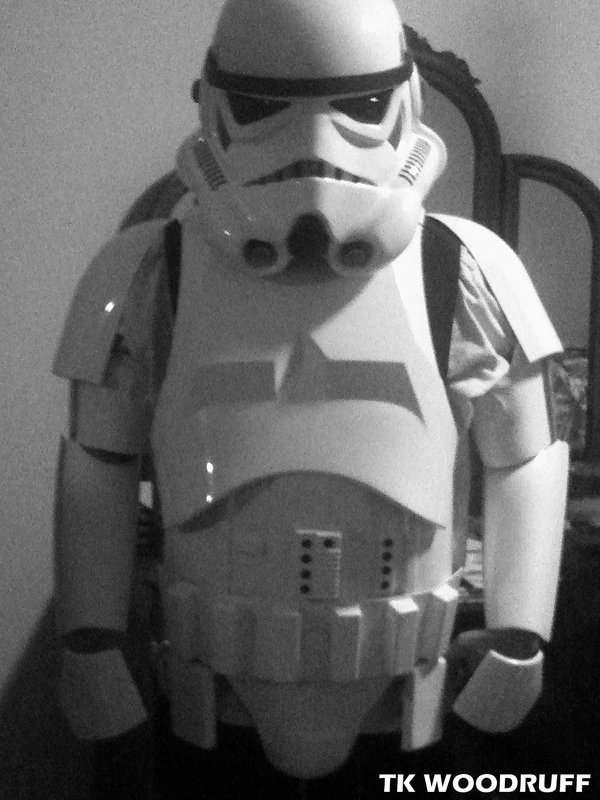 Ya i am getting the 4GS at some point as it has a better camera lol… So that it for now and i hope my next post will me be in a complete Stormtrooper Aromor suite. From then on it will be post about Troops that I will be doing with images to go with them.